Learn how to play your favorite hymns on solo guitar. These 20 hymns have been selected from the Church of Jesus Christ of Latter Day Saints Hymn Book. Regardless of your playing ability, you will be able to find a piece in this book that is appropriate to play at any setting. 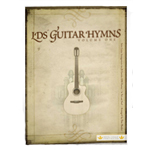 Whether in church or at home, you will bring the familiar sounds of LDS hymns to others through the warm sounds of the guitar. 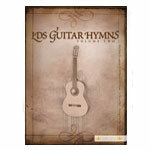 Volume 2 contains another 26 hymns arranged specifically for solo guitar. Each arrangement includes staff, tablature and chord notations.